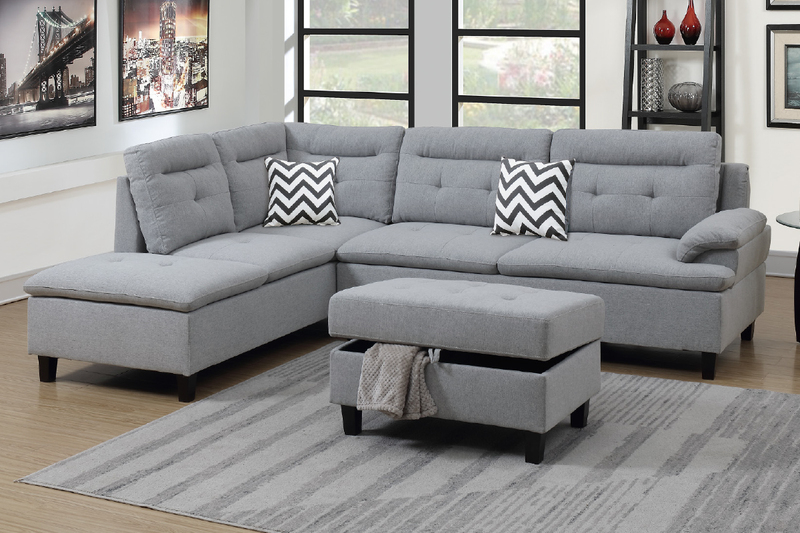 This stylish modern sofa offers spacious seating that contains a chaise extension on the left-facing side for you to stretch your legs and have a relaxing moment after a long day. 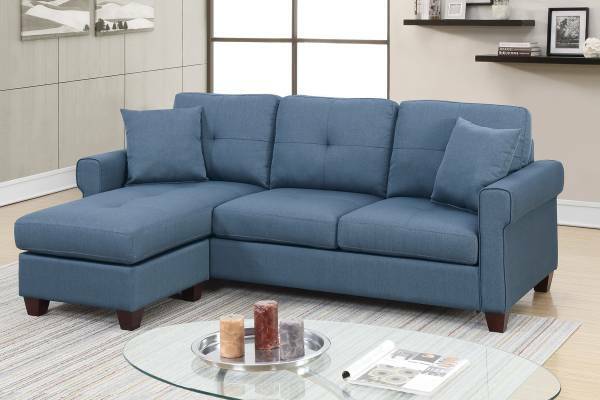 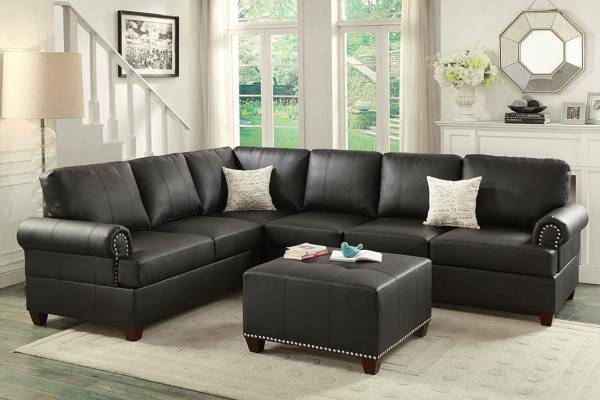 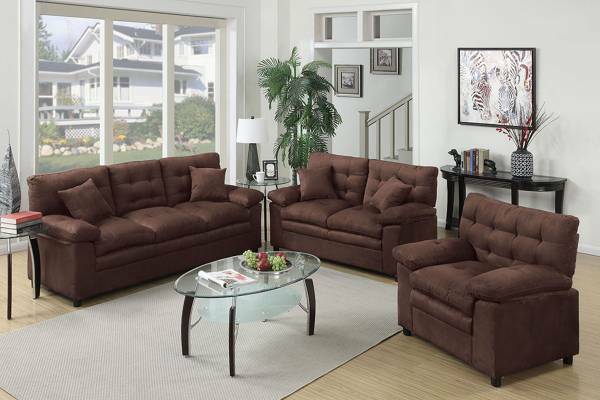 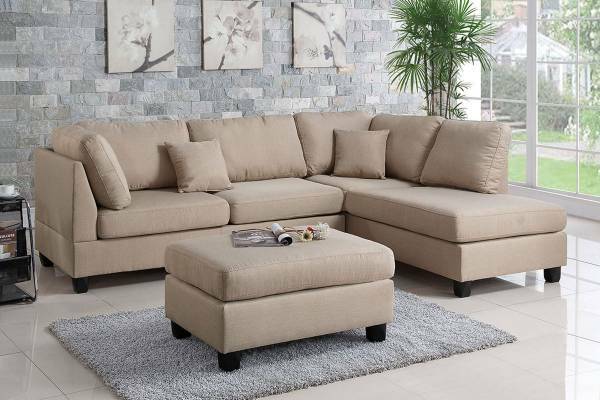 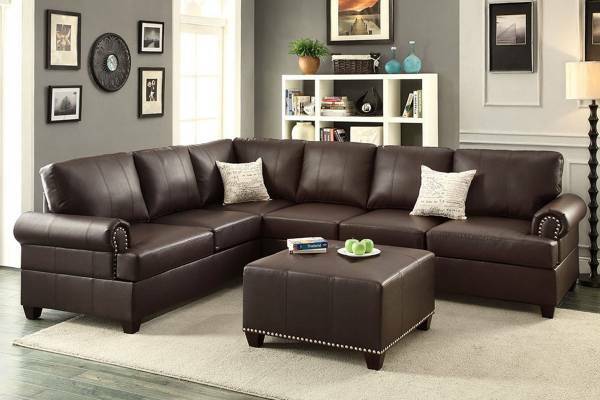 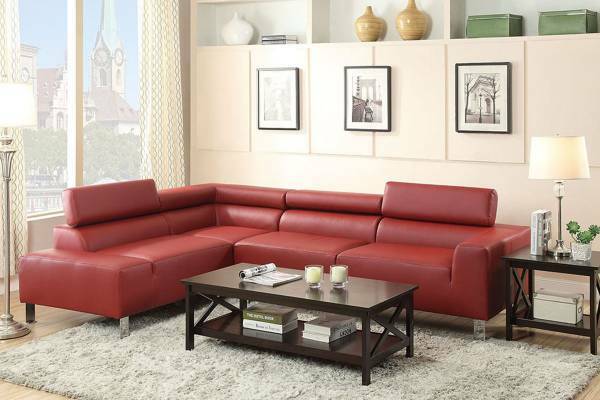 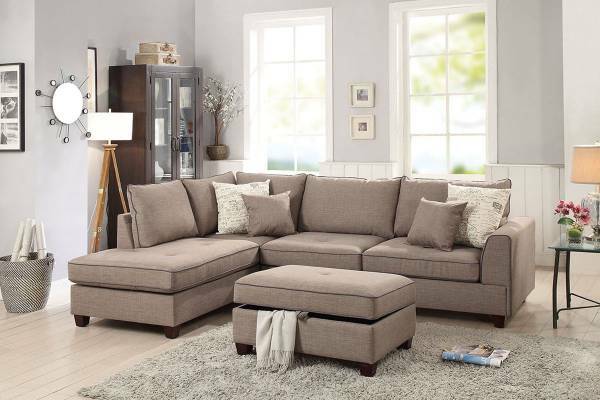 The sofa also comes with a matching color ottoman with storage space, and you can tuck away extra pillows, small blankets, and even chess board while keeping the living space neat and clean. 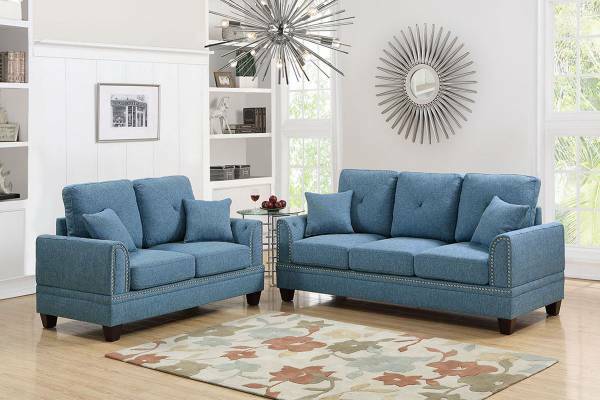 With the pop-up and chic pillows that mix and match with the American traditonal furniture, your home is just as vibrant as it can be.